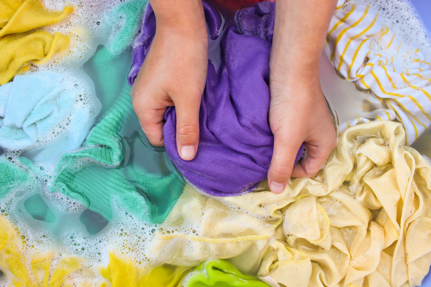 One of the surest signs that you’re using impure water is if stains start showing up on your clothing and appliances. These stains are indicative of a specific mineral which is excessively present in your water supply. It’s important to note, however, that not all water stains are the same. In fact, the color of your water stain is entirely dependent on what minerals are present in your water. Trying to figure out what mineral is causing water stains in your Kildeer, Illinois home? Then you’re in the right place. One of the more common water stains you’ll come across is white limescale. This type of water stain comes about as a result of hard minerals such as calcium and magnesium. When the water that contains these minerals evaporates, only the minerals are left behind, presenting themselves as a chalky, white substance. In most cases, you’ll notice white limescale on metal appliances such as shower heads, faucets, and sinks. Have you noticed a slight brown tint in your white clothing? Perhaps there are light brown stains on your shower walls? If so, manganese is probably the culprit. Manganese is similar to iron in that, after it becomes oxidized, it presents itself as a stain. Most typically found in water which comes from a well, it can be eradicated from your water supply with the use of a water conditioning system. Dealing with dark orange or red stains on your toilet bowl or bathtub? If so, you’re likely dealing with an excess of iron in your water supply. Once iron-inundated water evaporates, the iron is left behind. Once this iron oxidizes, it presents itself in the reddish form that you’ve come to know. To rid yourself of these stains, it’s wise to utilize an iron filter. Perhaps you’ve noticed dark green or blue stains on your sinks, toilets, tubs, or fixtures? If so, it’s likely that your water has a pH imbalance. When water with an unbalanced pH level runs through your water pipes, it causes those pipes to corrode. Over time, as these pipes corrode, they begin to contaminate the water which runs through them. This corrosion will eventually present itself in the form of blue stains. A water pH imbalance can come about as a result of a number of different minerals, including iron, manganese, and more. In most cases, you’ll be able to regulate the existence of these minerals in your water with the use of various water conditioning or water softening systems in Kildeer. If you utilize well water, you might have, at some point, noticed pink stains appearing on your water appliances. The reason for this is simple: there are bacteria in your water which are not supposed to be there. How can you eliminate these bacteria? Typically, you can fight them off by adding chlorine to your water supply. Can Water Staining Be Eliminated? Now that you’ve gotten to the source of your problem, you’re probably asking yourself, “how exactly do I get rid of it?” The answer is entirely dependent on what mineral is inundating your water. However, in any case, a water softening system of some kind will get the job done. Interested in installing a water conditioner in Kildeer, Illinois? If so, we here at Johnson Water Conditioning are the people to call. Utilizing a water softener, an iron filter, a hydrogen peroxide injection system, or otherwise, we can do away with your water stains for good. Contact us today to discuss your problem!